Seriously Sarah – Page 72 – It’s totally Sarah with none of the icky seriousness bits! Somehow… the layout of this blog got messed up. Using the default one for now! While the website isn’t really completed, it’s technically 70% completed since I haven’t done a new showreel yet… Anyway, I figure why not just get on with the show on the blog side? After all, this side is pretty much complete and you can read what I’m up to yet. At the moment I’m about to start a part-time course for the Bachelor of Media Arts. Hopefully, I can get very very good grades for this. Right! Besides uni things, I’ll be talking about LOCAL books. Or rather, some of them that aren’t your usual “Boohoo, agony, agony. I’ma giiiiiiiirl and you sold me” stuff. I’m gonna try hunt down amusing/fantasy/romance stories published or written locally. If you’ve suggestions of anything, feel free to comment me. 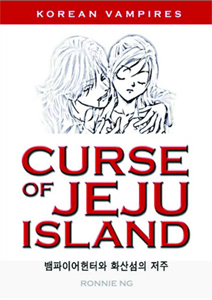 The upcoming book I’ll review on would be a Korean Vampire story with a teenage Singaporean Vampire hunter… Yeaaah, I know but it seems to have a lovely potential about it. Besides local books, it might have local writing events or perhaps competitions to publicize etc. Anything to do with writing and stories really. Posted on February 3, 2008 Categories Website UpdatesLeave a comment on School is gonna staaart! Wand tutorial up under the Misc. section. Still need to upload the other tutorials. Heh. Posted on October 19, 2007 Categories Website UpdatesLeave a comment on More updaaaates! Yep, it’s up. Just need to get the pages up under misc but it’s pretty much there. Posted on October 12, 2007 Categories Website UpdatesTags webbyLeave a comment on Updated misc section! Okay, the blog is fixed, finally found a theme that’s suitable. However, I wonder if I should leave it blue or change the blue to my black and grey thingy at the main site. The blue looks nice though. Maybe I’ll let it be there. Posted on October 10, 2007 Categories Website UpdatesTags webbyLeave a comment on Great!